Avid hikers know that the best backpack is something that depends on 3 things. It depends on the terrain, length of time you plan to spend on a hike and the amount of gear you need to carry. When you’re sorting through backpack reviews it can sometimes be hard to find a backpack that fits your needs. Having more than one backpack in your arsenal provides you options and the flexibility needed to prepare for any hiking adventure. Maxpedition Typhoon backpack packs plenty of features into its small form and serves as a suitable option for anything from a grocery store trip (though I won’t recommend it) to a dayhike in the wilderness. 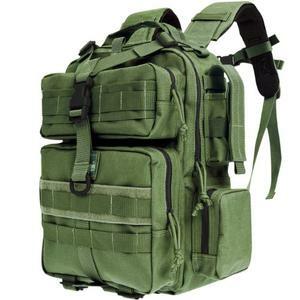 The pack also comes in five color options — black, green, foliage green, khaki and khaki-foliage. 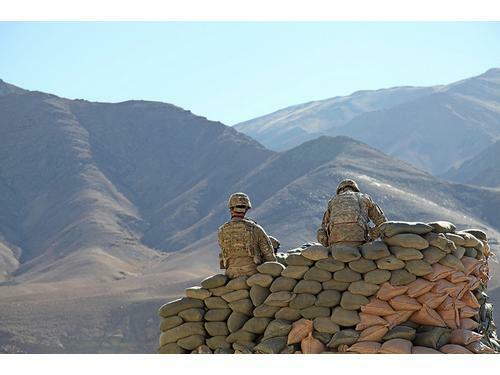 Foliage green is more of a greyish color with khaki-foliage containing a mix of khaki and grey. The backpack holds an impressive 750 cubic inches of gear. Pockets around the sides of the pack make it possible to store a canteen, knife, first aid kit and other items you may need immediate access to on your hike. The convenient location of the side pockets makes it possible to access items without the need to remove the pack during your hike. 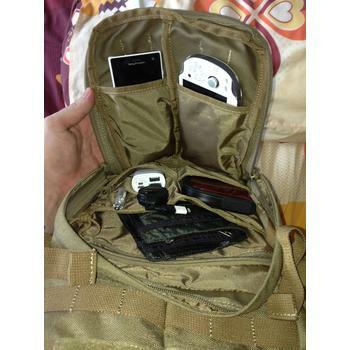 In fact, this is one feature that gets the most mentioned by Maxpedition Typhoon owners in a lot of reviews. This feature provides a significant advantage when you’re going for speed or don’t have time to ruffle through your bag looking for that sunblock or pair of sunglasses. The side of the pack also comes with a zippered pouch to protect a smartphone and a PALS webbing for additional pockets and accessories. Experienced hikers know the value of organization when it comes to gear, and the best internal frame backpack for your needs depends largely on how conveniently the storage system is laid out. This pack isn’t the largest pack out there and it won’t work well if you need to go on an extended expedition or need to carry lots of gear. The overall size of the pack is 13 inches in length, 9.5 inches in width and 15.5 inches in height. The total volume is 840 cubic inches or 13 liters. The front consists of a Y-compression strap consisting of one inch webbing to keep lose items in place. 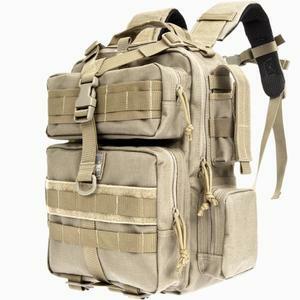 There are also a total of six additional pockets to store items and one loop field for patches. Comfort-wise, this pack provides good breathability and provided you don’t pack it too heavy, should leave some much needed space between your back and the pack. One especially nice feature about the pack is the 50 ounce hydration reservoir that makes it easy to stay hydrated and carry enough water for your short trips. 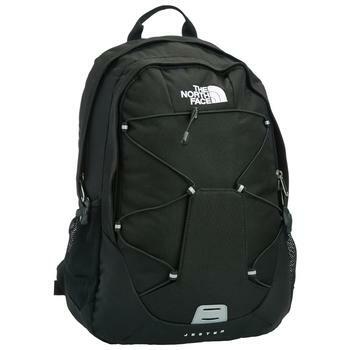 The backpack is built to last with teflon fabric protection and high strength zippers with self-repair technology. The triple polyurethane coat increases water resistance and high tensile nylon webbing. In a number of backpack reviews, travelers who owned Maxpedition Typhoon rave how their backpack managed to keep their gear dry while others have disappointed. This is a tough backpack that is well-built to stand up well to demanding and rough situations. When you’re out hiking in the woods, you want a pack that is guaranteed to be reliable and stand up to rigorous conditions. Comfort is a primary concern with these packs and they are designed with your body in mind. With foam-padded double shoulder straps, and a suspension belt that helps to distribute weight over your sternum, your shoulders are going to thank you after a long trip. The pack doesn’t come with a waist belt, which could help to further reduce the impact of the weight on your shoulders. However, the pack is small enough that a belt around the waist isn’t a necessity. The Typhoon backpack even provides enough storage space to carry your laptop computer or textbooks. Let’s not mistake ‘enough’ with ‘recommended’ here. Though this Maxpedition backpack is big enough to fit your 15-inch laptop, I’m not saying this is the best backpack to protect your laptop. When it comes to laptop protection, this is no match to the likes of Brenthaven Collins. 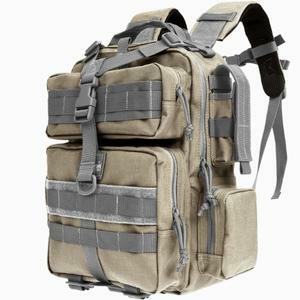 A simple mention of Maxpedition brand should tell you what kind of backpack the brand’s focus is. Backpacks sturdy enough for expedition and adventure is what the Maxpedition Typhoon backpack promises to offer. As far as durability and ruggedness are concerned, I believe there is little left to doubt. 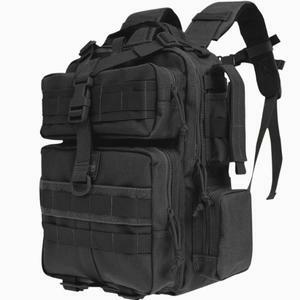 But whether this is the best backpack you want to carry for your tactical mission, it still depends on your personal use and needs. If you’re looking for travel pack and can’t decide if this is the right backpack for you, why not check out our pick for the best travel backpack?